This Crayon Bounce is a great theme bounce for any event. The colorful crayons tower high into the sky. Unit measures 14' x 14' x 17'H. Weight limit of 200 pounds. The unit itself weighs 220 pounds. 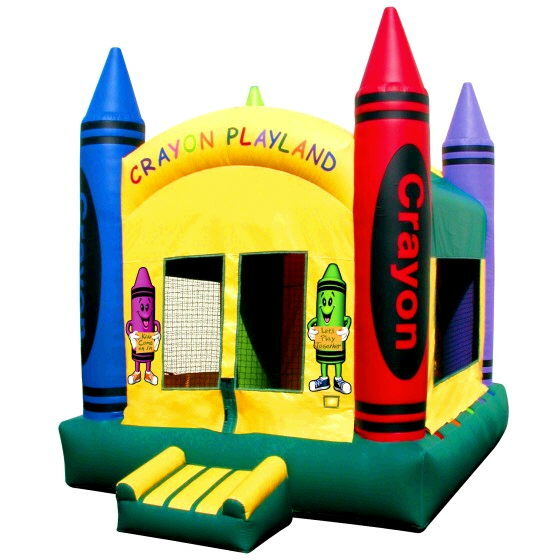 * Please call us for any questions on our crayon bounce rentals in Pipersville PA, Hatfield PA, and Bucks & Montgomery Counties in Pennsylvania.